Something as simple as breaking traffic rules can put the driver and others vulnerable to serious falls and injuries. Something as simple as breaking traffic rules can put the driver and others vulnerable to serious falls and injuries. This is a very common cause of accidents in India. India at present is having a car boom. This seems true to a certain extent when we look at facts such as, in Delhi alone, more than 10, 000 new cars hit the road every month. Not only the metropolitans, but small cities also witness an increasing number of new cars on the roads every year. At the same time, a number of road accidents rising everywhere is alarming. Breaking of traffic rules shows the negligence and lack of sense of responsibility on the driver’s part. Prevalent causes of road accidents in India include speeding and tailgating, using a phone while driving, drunk driving, riding without a helmet on a two-wheeler, not wearing a seat belt, breaking red light and other traffic rules. Other factors may include poor road conditions and bad climatic conditions such as heavy rain, storm or dense fog. Avoid speeding and tailgating: A greater speed can give a feeling of a rush but at the same time it increases the risk of hitting a person or another vehicle. Bad driving habits such as tailgating lead to arguments and increase the chance of colliding with the vehicle in front. Elders said right, “being late is better than never”. Drive in prescribed limits and keep a safe distance from the vehicle in front of you. Do not use your mobile phone while driving: Using your phone while driving distracts your mind. Also, your hands get engaged in operating it. Texting is even more serious than talking over the phone. It not only takes off your hands off the steering but also your eyes off the road. Never drink and drive: Alcohol interferes with the basic elements of driving such as vision, reflex and sense of judgement. When you are drunk, never take on the steering wheel. It is always advisable to request your friend or acquaintance to drop you to your place or better hire a reliable cab. Always wear a seat belt while driving: A driver wearing a seat belt has a far better chance to survive without suffering any major injury during a head to head collision. The passengers seated in the car should also wear seatbelts for their own safety. Wear a helmet while riding bike: Many people label driving a two-wheeler without a helmet as cool stuff. Head is most susceptible to injuries during a fall. Protecting it with a helmet substantially reduces the chances of fatality. Wearing a helmet is as important for the pillion rider as for the biker. In case of bad weather consider putting a halt to your trip. In case of emergency, take adequate precautions such as using the fog lights and diapers during fog. Also, avoid driving on bad roads if the alternative way is there even if it is longer than the way of the road in a bad state. · Drive on the left side of the road. · Follow lane discipline. If turning to the left, the vehicle must be in the extreme left lane of the road and vice versa. · Overtaking of another vehicle must only be done from the right side of the vehicle. · Use stipulated hand signals or vehicle indicators to indicate slowing down, stopping, turning or overtaking. · Take ‘U’ turn giving a proper indication by hand signal or indicators to other vehicle’s drivers that you are going to take a ‘U’ turn. · Be extra cautious while approaching a junction, intersection or a crossing. Make sure that your vehicle does not cause any inconvenience to other vehicles or pedestrians. · Pedestrians have the first right of way at a pedestrian crossing or zebra crossing. · When you park your vehicle, make sure that it does not cause any hurdle to any other road user. · No goods should be kept in a way that hinders the visibility of other vehicles, head lamps, tail lamps or the vehicle’s registration number. If the vehicle’s registration number is someway tempered, it should be replaced immediately. · On one-way road, drive only in the indicated single direction. · Stop your vehicle before the stop lines. 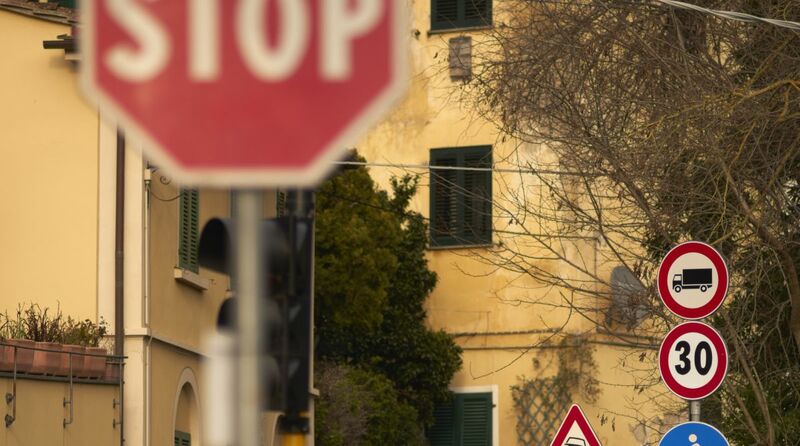 · Always obey traffic signs and instructions given by traffic officials. · Use horn need-based. Do not use it in prohibited areas like hospital and school zones. Drive the vehicle with proper silencers. · While taking the reverse, ensure that it does not cause annoyance to any other person on the road. · A driver should possess essential documents while driving – Driving license, Registration certificate of the vehicle, Insurance certificate, Pollution check certificate, Fitness certificate and Permit (for commercial vehicles). · Always give free passage to fire service vehicles, PCR vans and ambulances. Breaking of traffic rules may come with a whole set of agonies as personal injuries, arguments and injuries to others. You never know, how bad a personal accident might turn into. Get prepared and try to mitigate the effects of such eventualities. No matter, how petty they seem to be, they go a long way to save you from collisions and accidents. Do your bit to make Indian roads safer for you and everyone.